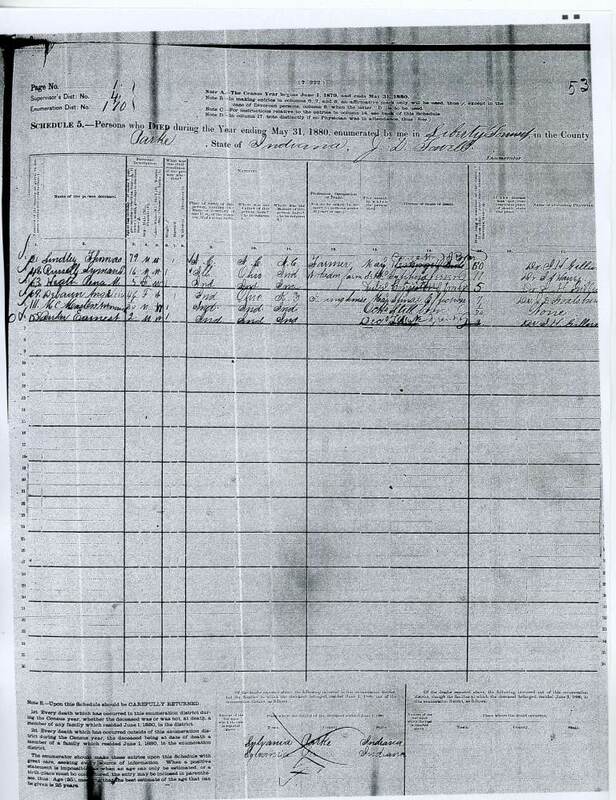 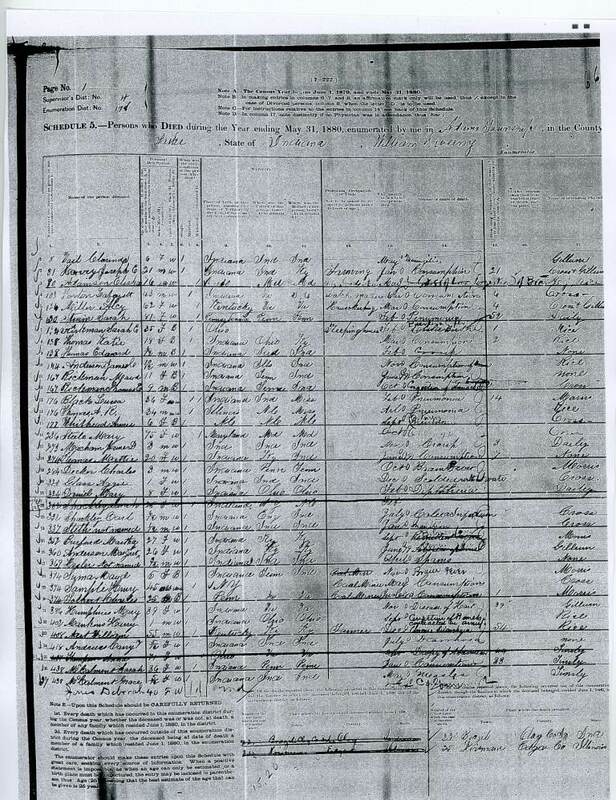 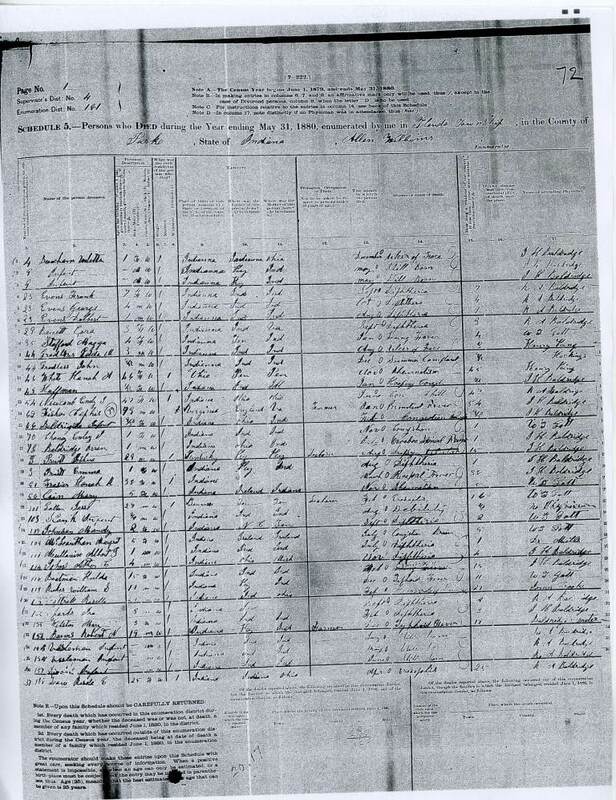 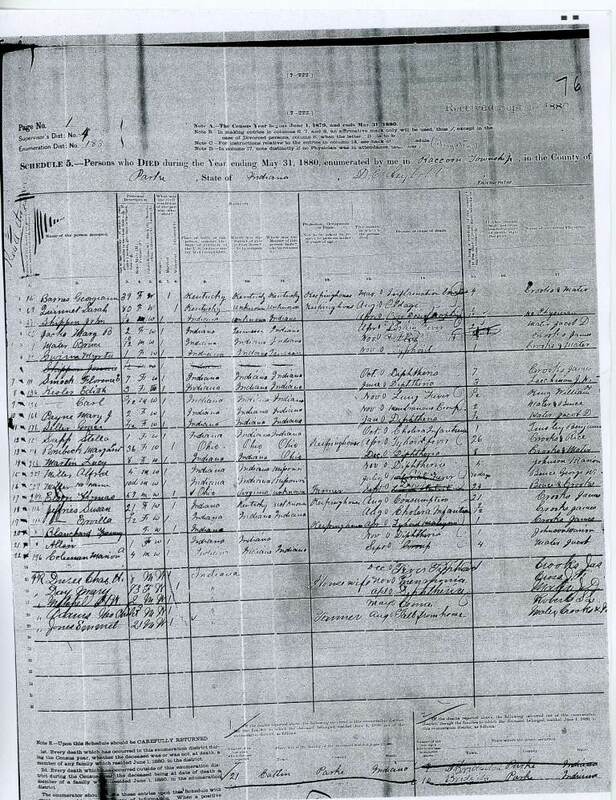 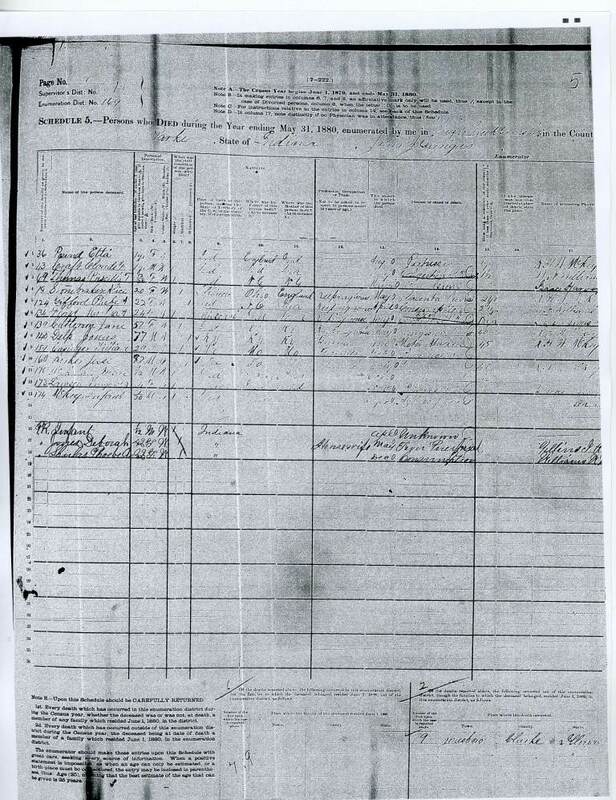 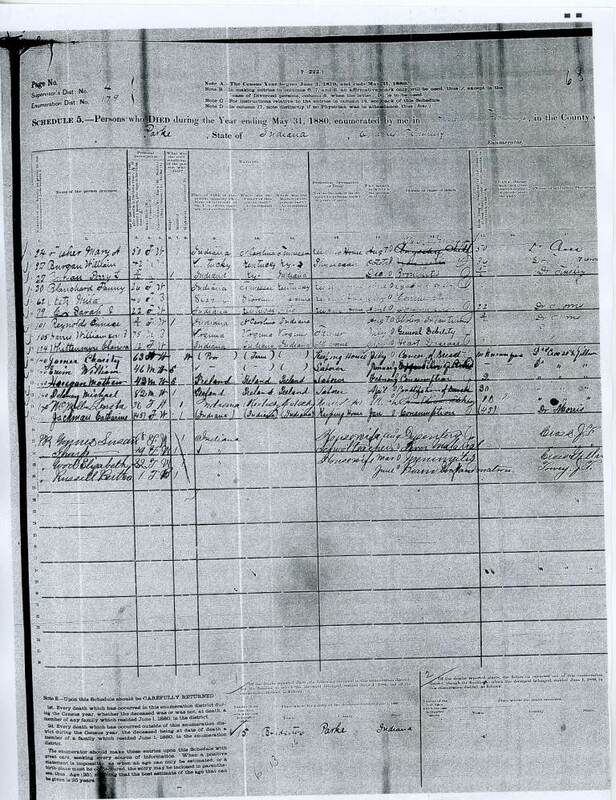 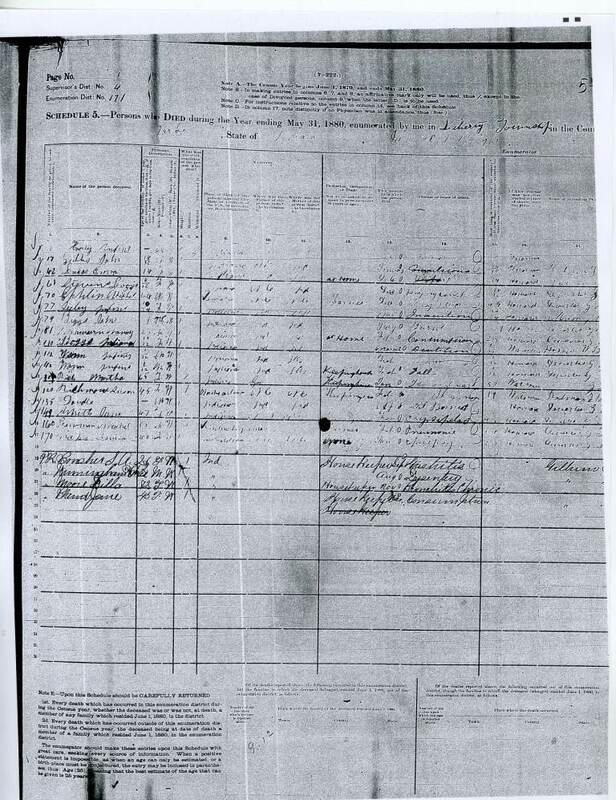 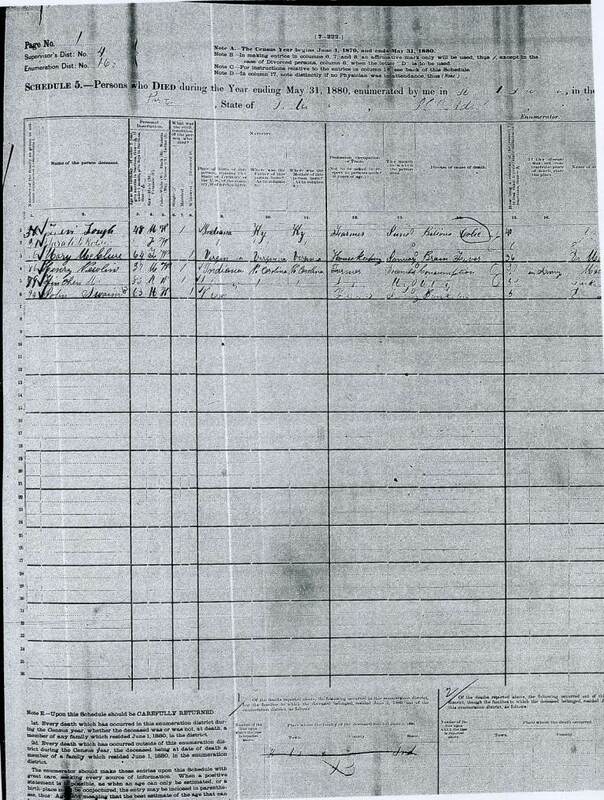 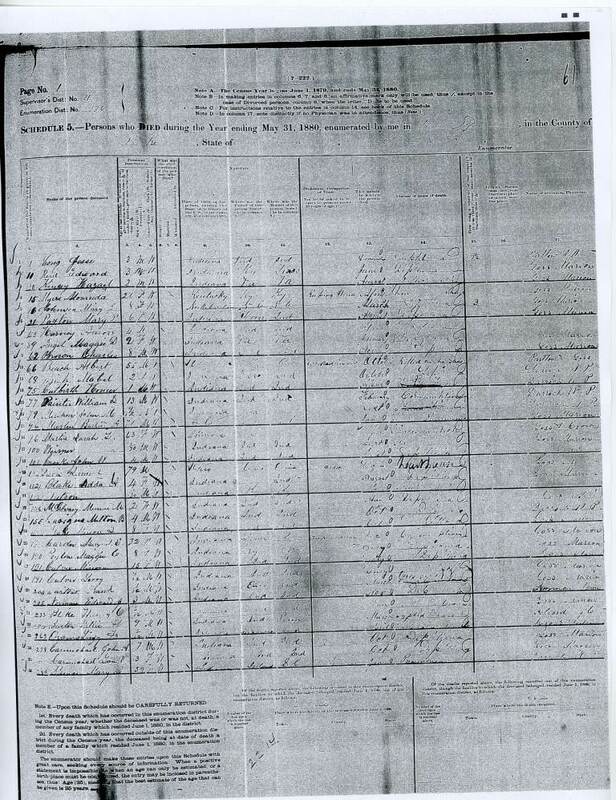 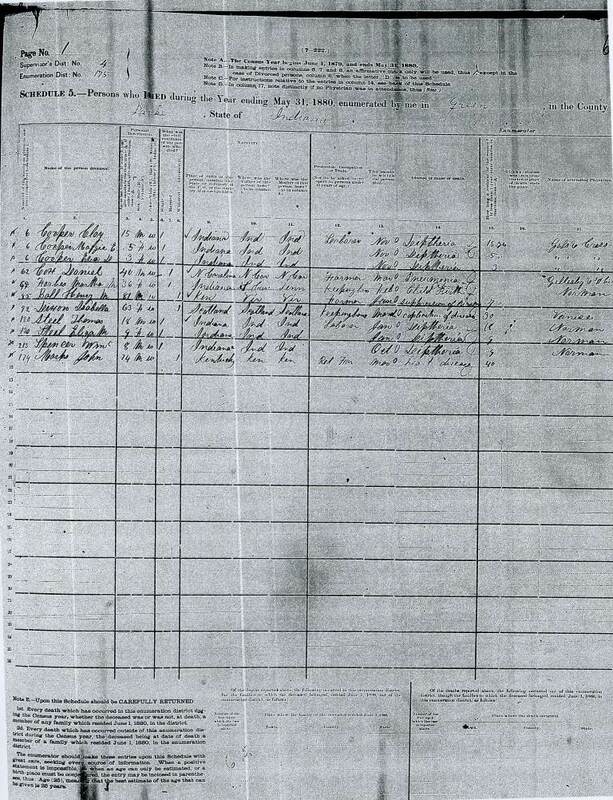 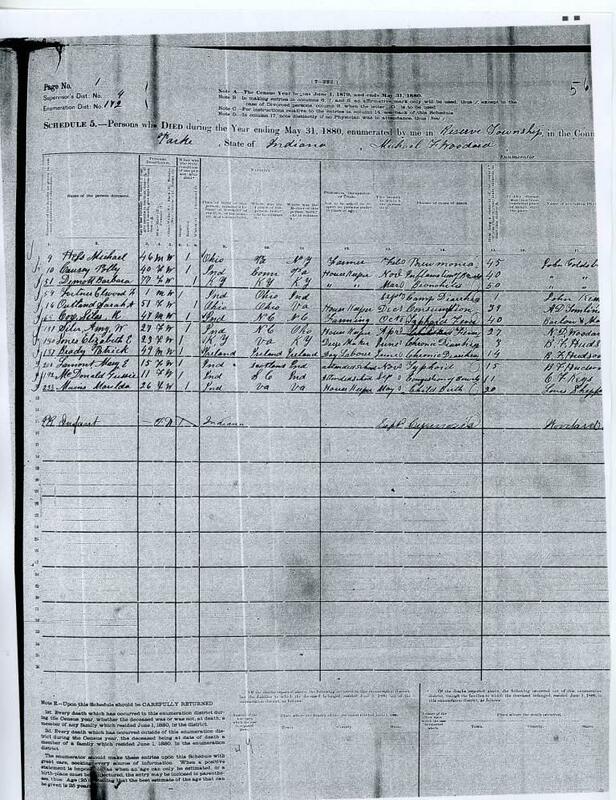 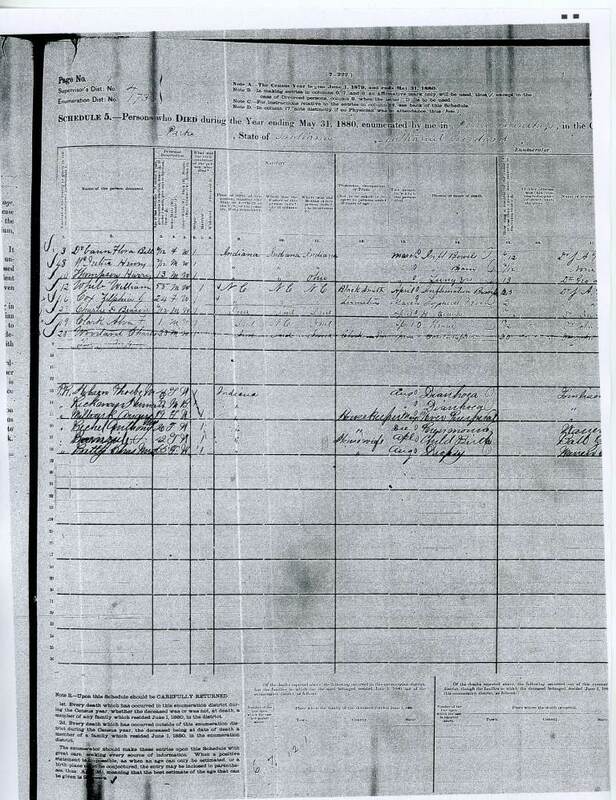 Included in the 1880 U.S. census were Mortality Schedules that asked questions regarding those who died in the twelve months prior to the enumeration. 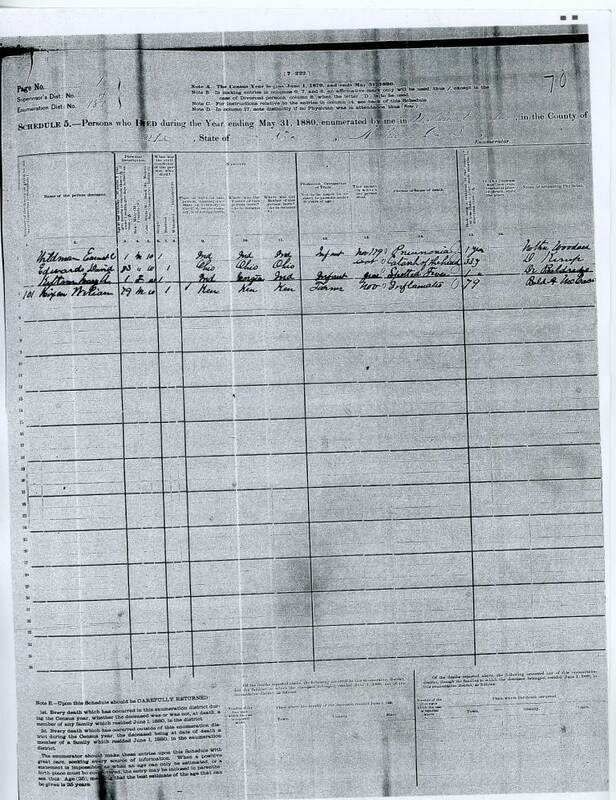 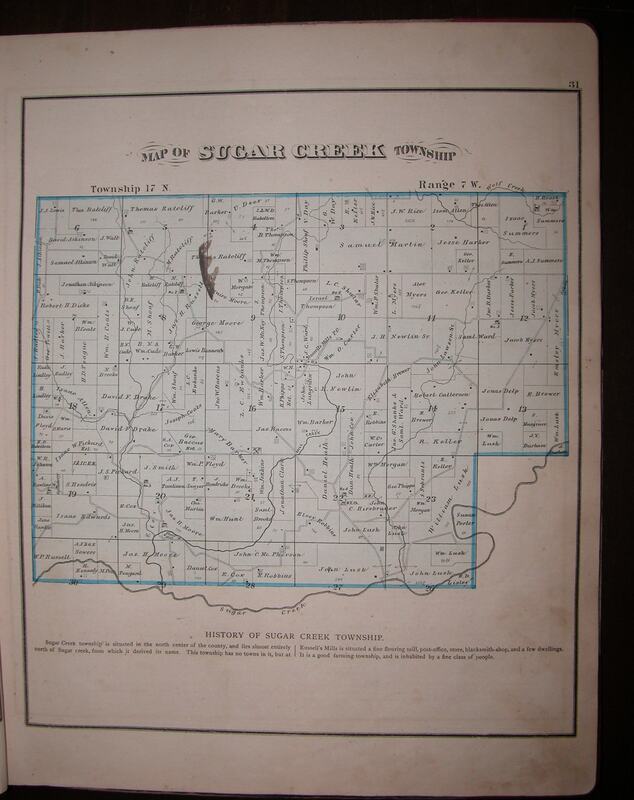 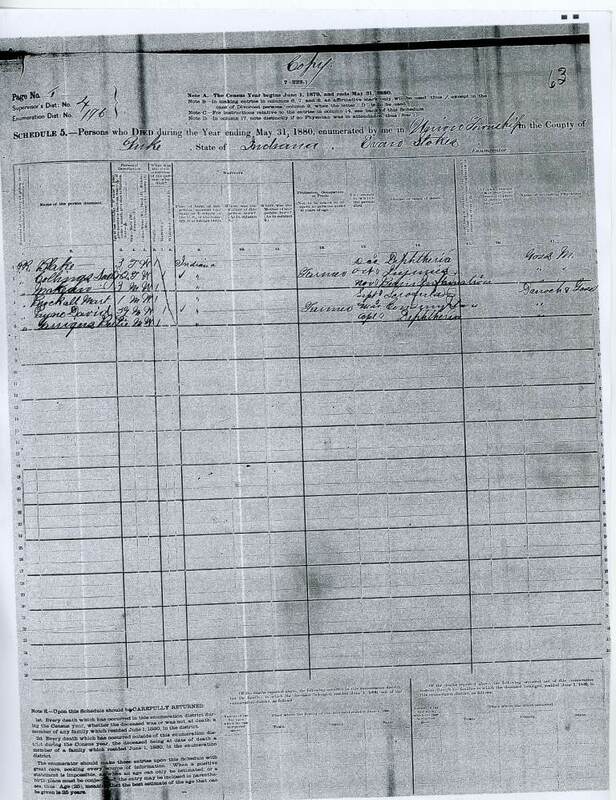 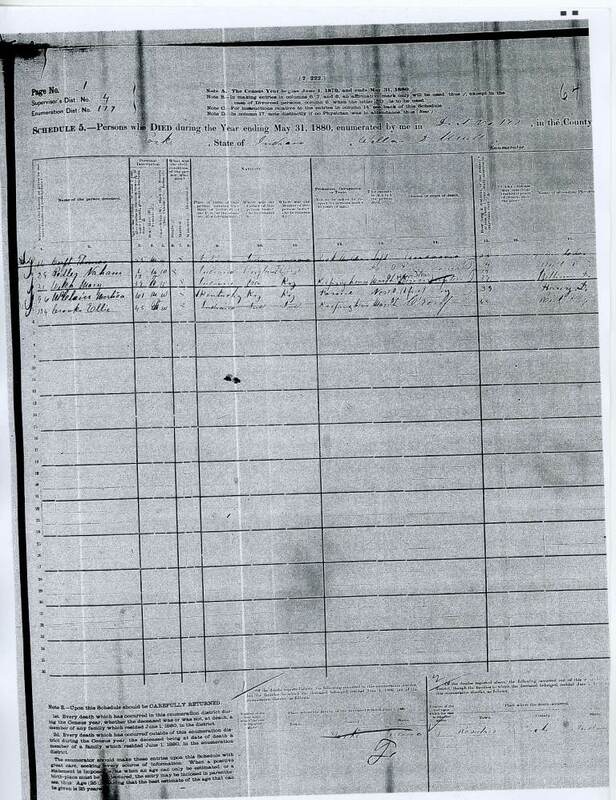 Below are links to photo images and transcriptions of the pages for Parke County. 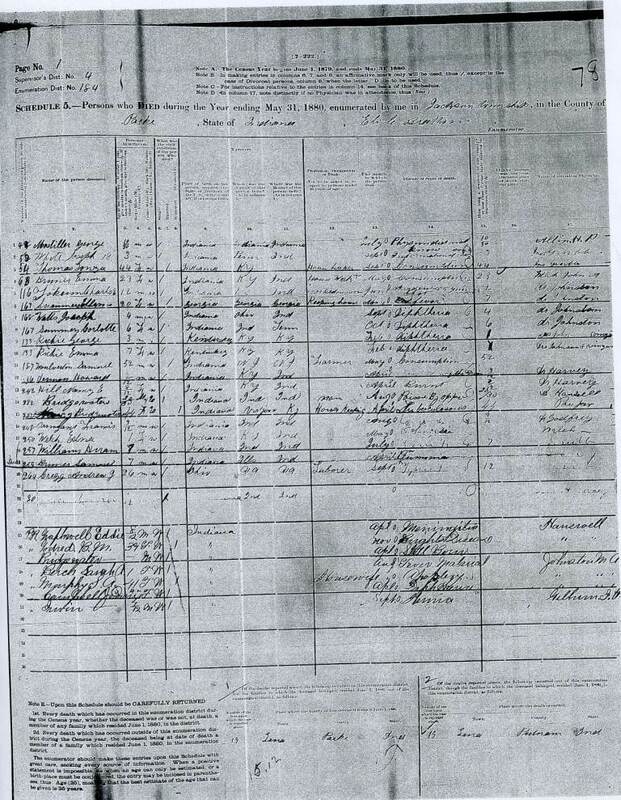 These schedules lists persons who died between 01 June 1879 and 31 May 1880 in Parke County. 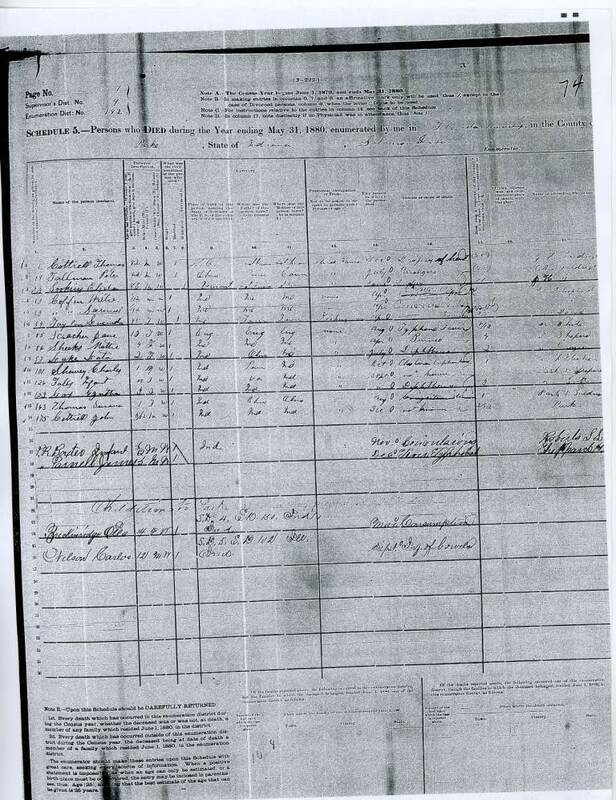 If you have questions or corrections, please email me by clicking on the covered bridge image at the bottom of the page. 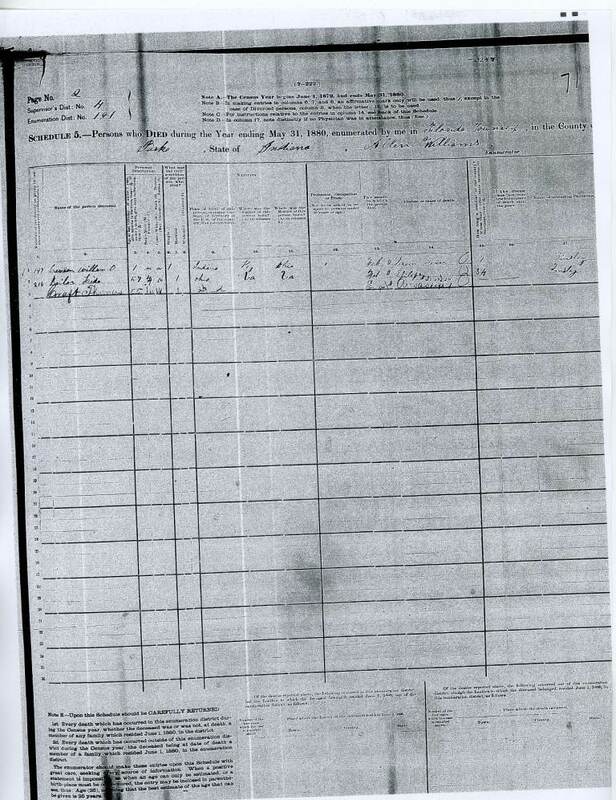 As you will see the copies were dark and hard to read so transcribing them is a task that takes time. 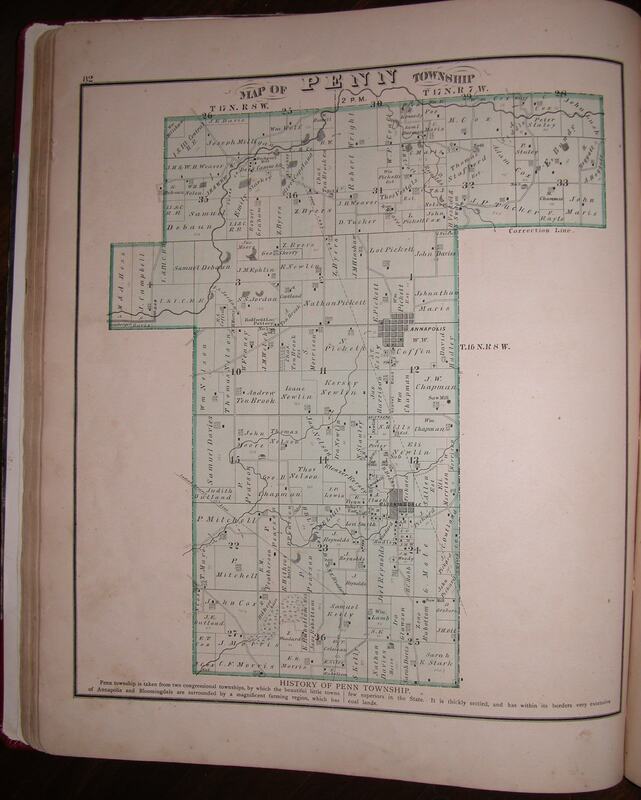 As each Enumeration District is completed, I will add the links below - so check back often. 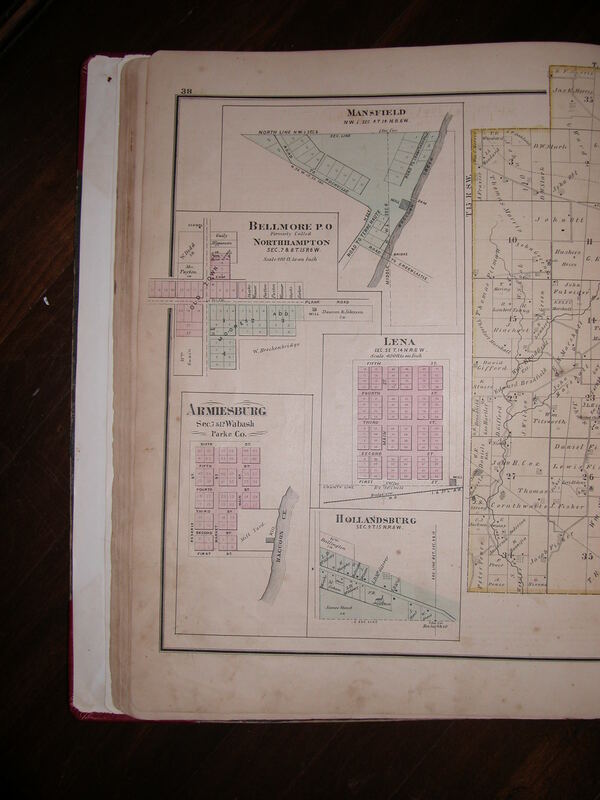 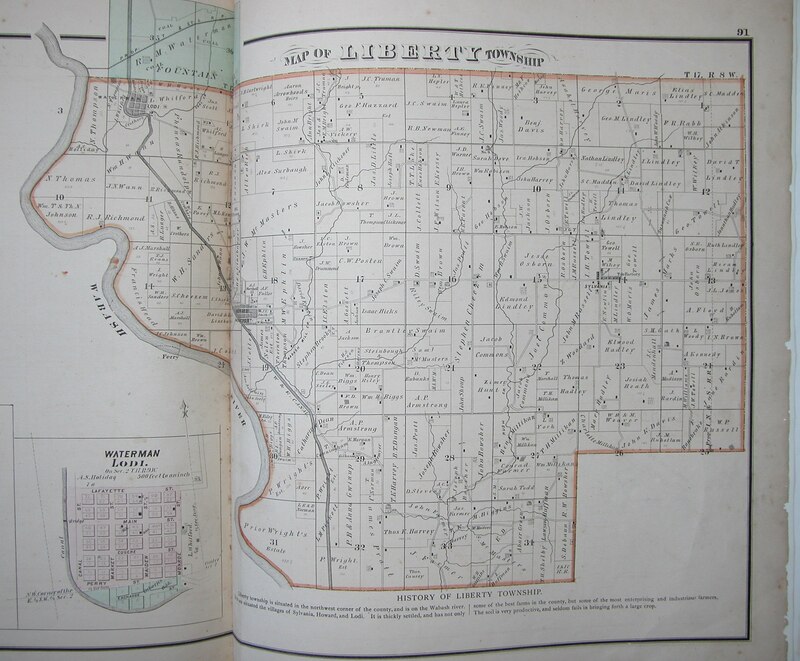 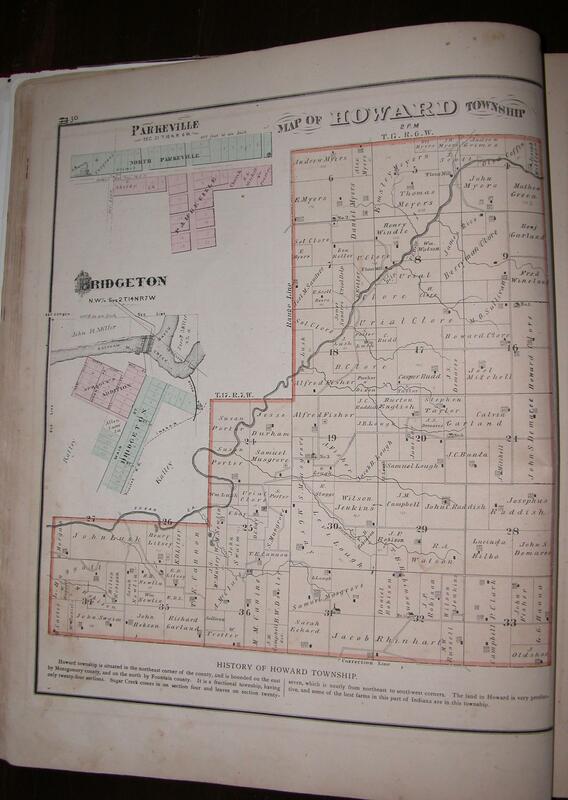 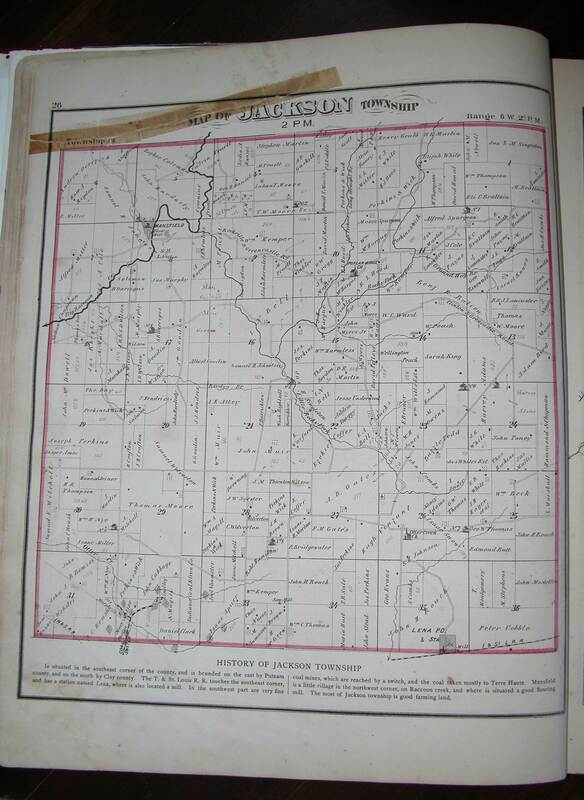 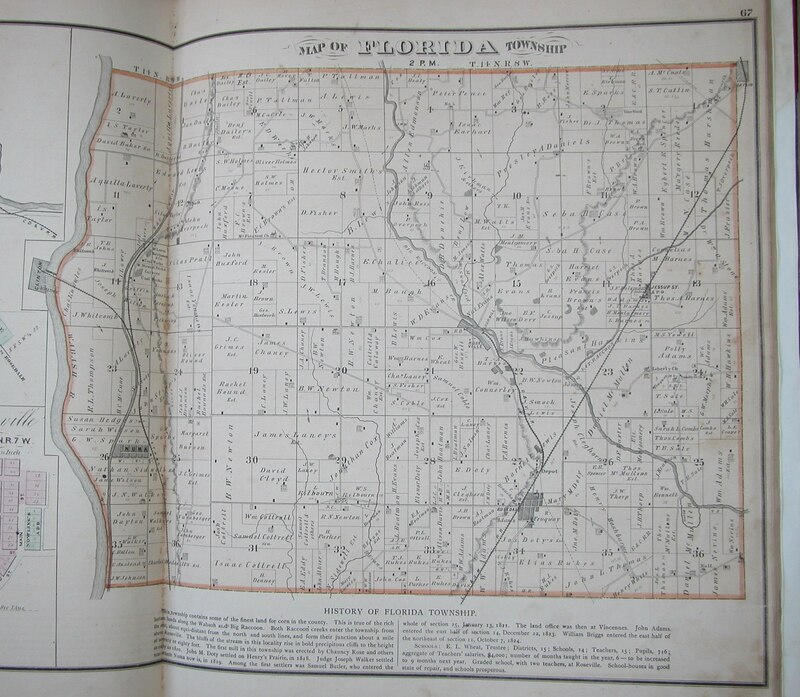 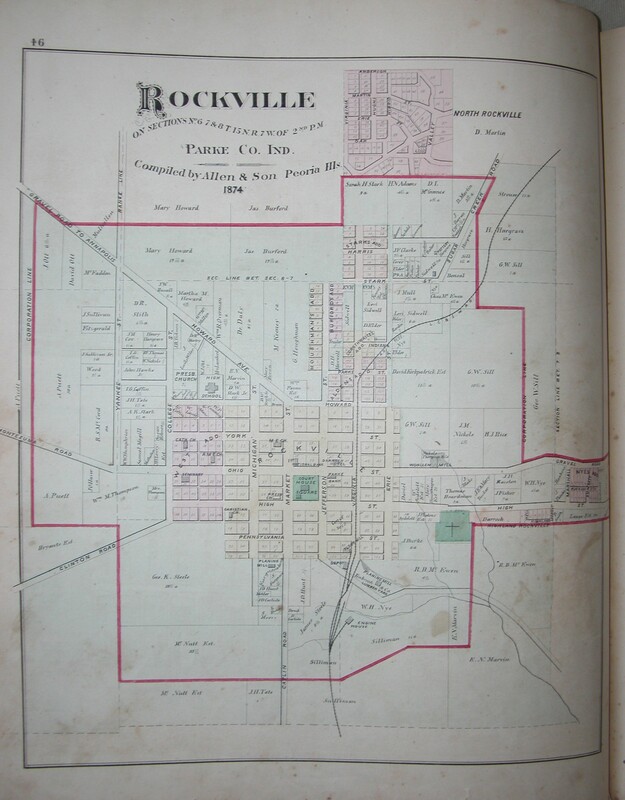 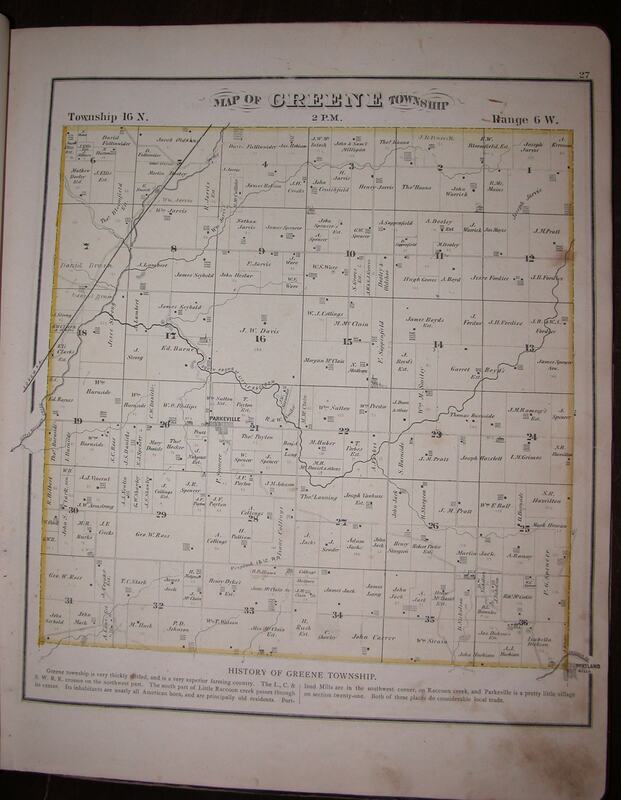 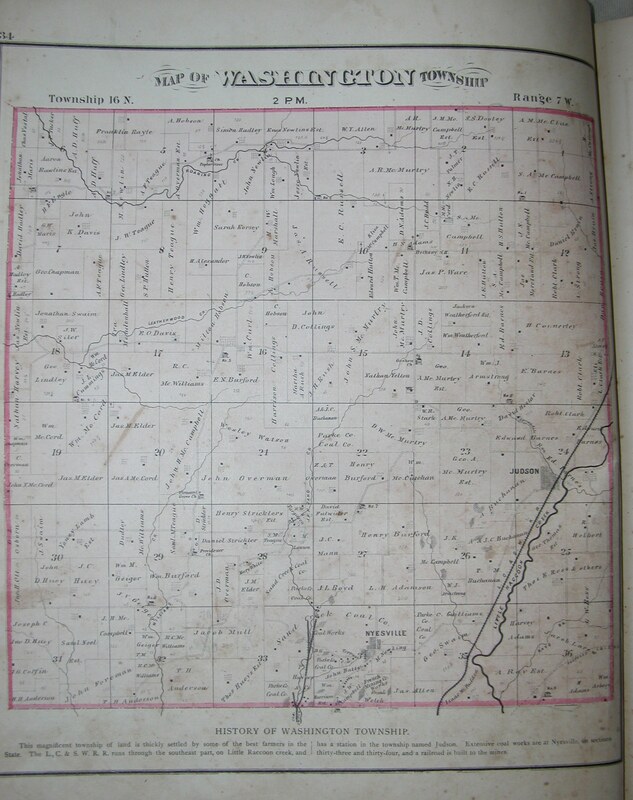 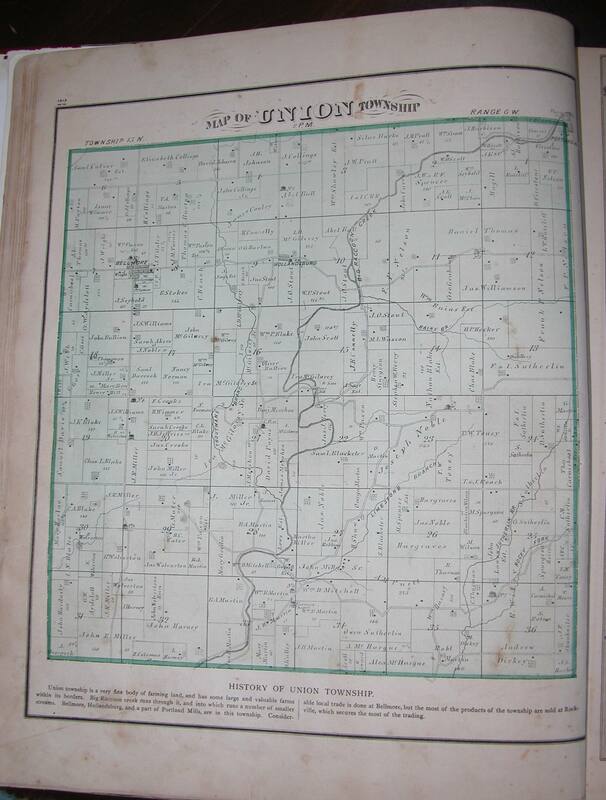 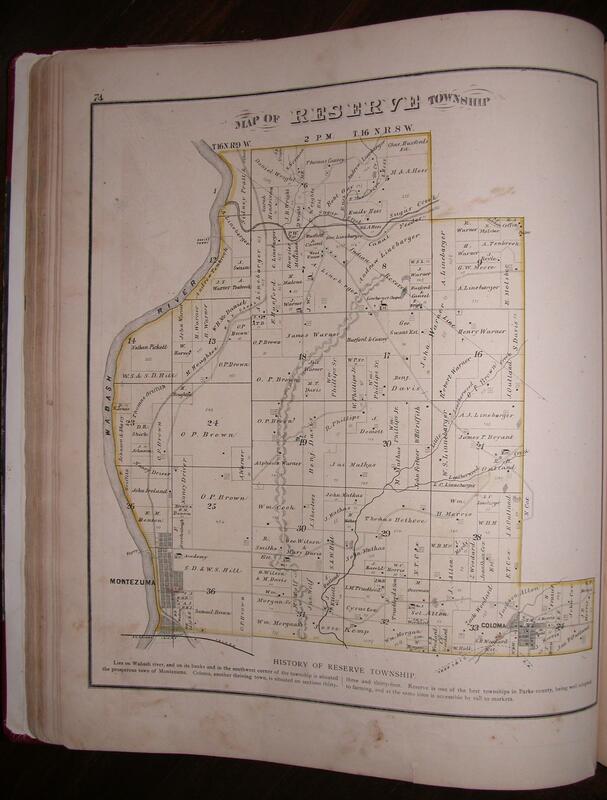 Click on the township name to see an 1874 map of the area. 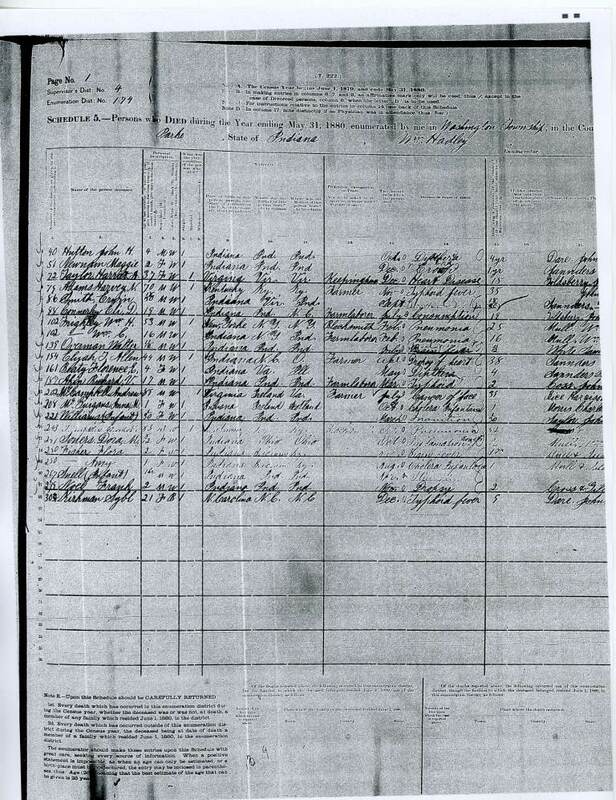 Good Luck with your search!